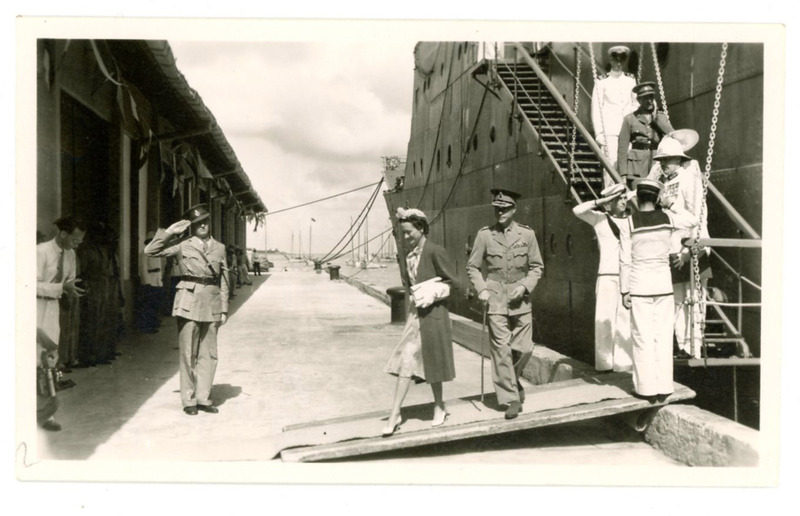 During a visit to Nassau in the Bahamas in 1944, Cora Mallory Munson spent time with former King Edward VIII, the Duke of Windsor and his wife, the former Wallis Simpson. Some mementos from the trip are in the manuscript collection of the G.W. Blunt White Library. The manuscripts collection in the G.W Blunt White Library is full of surprises. You never know what you will find while looking for something completely different. The following pieces from the collection should be of some interest to those of you who are Netflix fanatics and currently enjoying the second season of The Crown about the life and times of Queen Elizabeth II. The cards, personal notes and photograph all came to us through the Mallory family, many of whom have been involved with the Museum since the 1930’s. Cora Mallory Munson, to whom the items are addressed, was the sister of Clifford Day Mallory and Philip R. Mallory, both of whom served as President of the Board of Mystic Seaport. Mrs. Munson was married to Frank C. Munson, a shipping executive who was memorialized by Mrs. Munson with the creation of the Munson Institute graduate studies program at Mystic Seaport in the 1950’s. 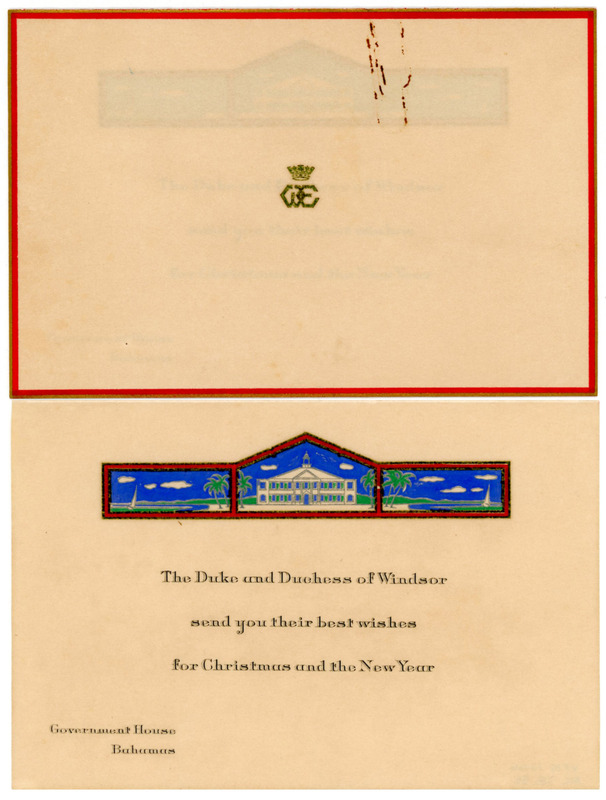 The cards and photo were sent separately to Mrs. Munson by Edward, the Duke of Windsor and his wife, Wallis Simpson, Duchess of Windsor. At the time the cards were sent to Cora, Edward was in his last months as Governor of the Bahamas, resigning in March, 1945 with his last official day being April 30, coincidentally the day that Hitler committed suicide. The optics of this was certainly unusual as Edward had been labelled a Nazi sympathizer. One of two cards sent to Cora Mallory Munson at Christmas, 1944 by Edward and Wallis. Edward’s refusal to leave Wallis led to his abdication in 1936, turning the crown over to his brother who became George VI, the father of Elizabeth. 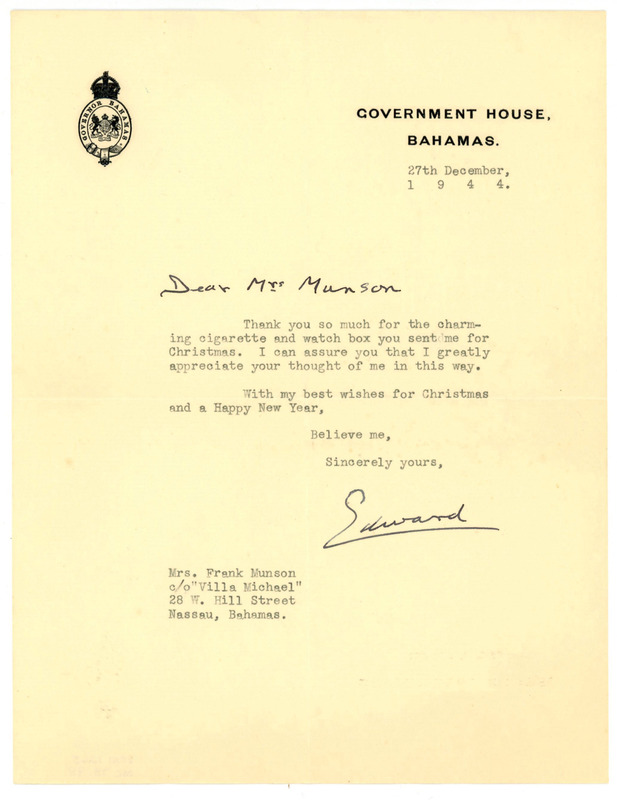 In 1941 Edward became the governor of the Bahamas. In 1944 the pair made a trip to the States, including Newport, Rhode Island. Wallis had surgery in New York in August to remove some cancerous tumors, but obviously by the time the Christmas notes were sent, she was feeling much better. She went on to live another 42 years. 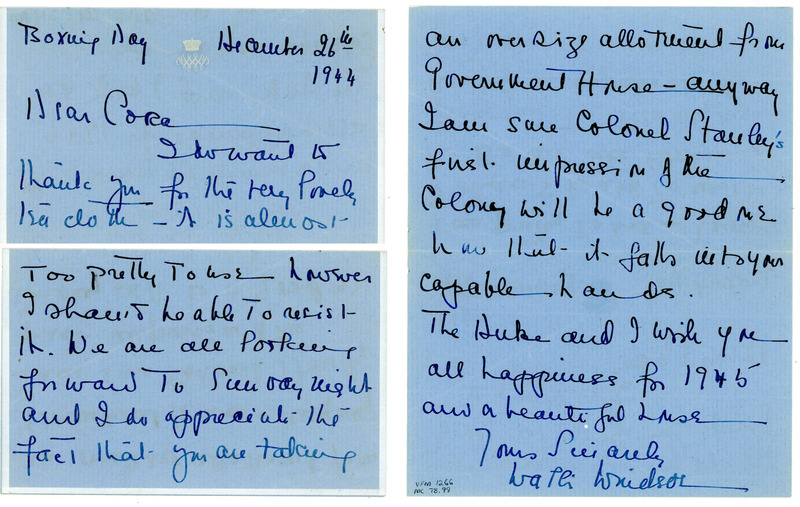 Note from Wallis to Cora thanking her for a gift and mentioning a get together. Note from Edward to Cora. Wallis and Edward coming ashore. While there is nothing written on or with the photograph, the context of the notes along with the image of the harbor suggests that this picture was taken in Nassau. There are many such surprises hidden in our collections and it is always a pleasure to unexpectedly happen upon one.